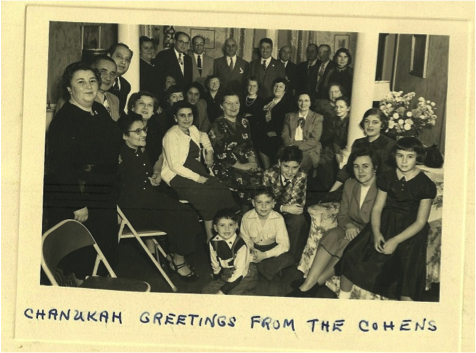 The idea of recording the history of being Jewish in Upper Valley, from the mid-20th Century to the opening of the Roth Center for Jewish Life at Dartmouth College in November 1997, was first discussed in 2013. The discussions resulted in the formation of a UVJC committee of active volunteers with the mission of finding out how Jewish people made a Jewish life here, and how they maintained their Judaism before there was a formal Jewish community. Some 60+ interviews later, the initial phase of the project is nearing completion. The committee has begun sorting through volumes of transcribed information that have been recorded as well as dozens of photographs and back issues of the Connection and other memorabilia to design the final product(s) to be made publicly available and permanently archived in Dartmouth College’s Rauner Library. 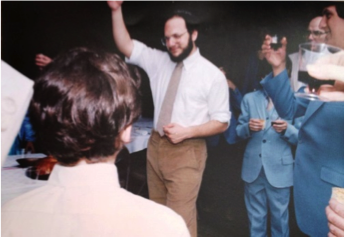 Those interviewed – members of the Jewish community from the 40’s and 50’s onward, plus our rabbis, most of our community leaders and educators, and others – have shared wonderful stories about their lives and experiences. All have been generous with their time — and their varied experiences are fascinating. The overriding theme seems to be that no one was judgmental and that one could choose to be Jewish in any manner one wished. The UVJC has been, on the whole, a very accepting and inclusive community! In March of 2015, Liza Draper, a Dartmouth MALS graduate and oral historian became our project coordinator. With the remaining energy of the core group, plus the enthusiastic support of others determined to carry this project forward, a publication and searchable database will be completed in the foreseeable future. But that’s not the end: we envision a future phase of the project that may lead to interviewing the next generation – children who grew up and were educated in the Upper Valley during the years we are documenting. Richard Neugass – Often nothing happens unless (or until) someone makes it happen. The Upper Valley Jewish Community will forever be indebted to Richard Neugass for making its history project a multi-media event. Richard was one of the first community members to become involved. He volunteered immediately after seeing an ad in, of all places, the UVJC Connection! From that fortunate moment forward, the project has benefitted greatly from Richard’s years of professional experience as a videographer. It is not as though Richard wasn’t already busy; he always is. In addition to answering the history committee’s frequent calls for help over the past two years, he participates in OSHER programming, serves as a director of the Norwich Lions Club as an usher at the HOP, and is an active veteran. Still, he has allowed us to tap into his time and talent again and again. 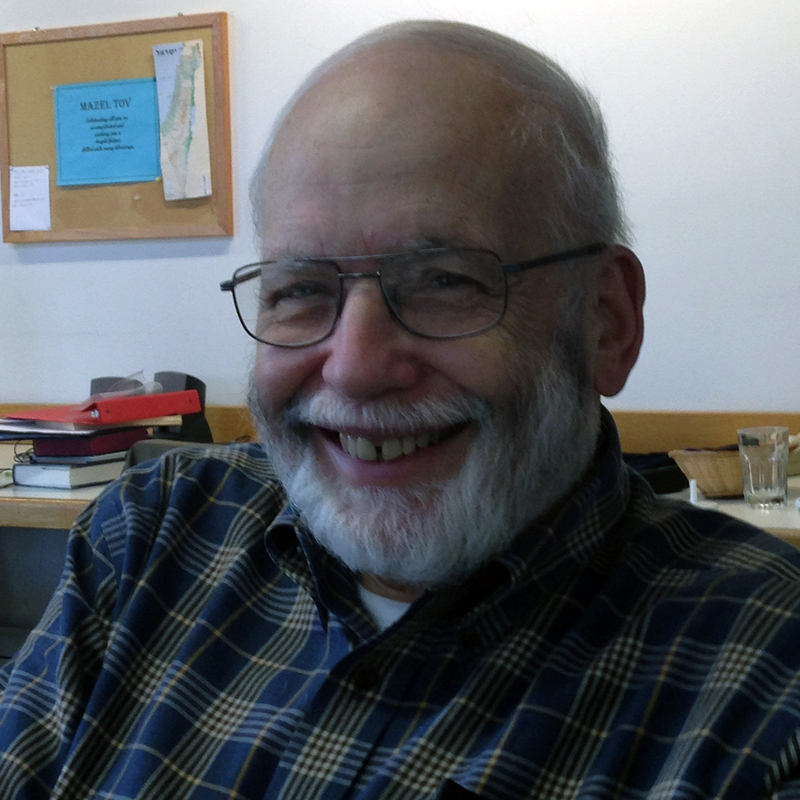 Richard has recorded dozen of hours of interviews with key members of the community, beginning with the late Gene Stollerman and former pres- ident Bruce Pacht in June, 2013. 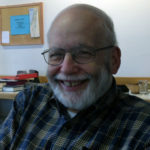 The Jewish Historical Society of Greater Washington, where Richard served on the Board of Directors, has archived many of the video memoir interviews he created while volunteering for a similar project there. All the transcripts from the interviews Richard cap- tured for our History Project will become part of the archives preserved at Dartmouth’s Rauner Library. Thank you Richard! We hope your volunteer example will inspire others to think of ways in which they might contribute to this community-wide effort. Melinda Stucker – There’s an old adage: “If you want something done, give it to a busy person.” We know it’s true since one of the Upper Valley’s busiest residents agreed to undertake a Herculean task for our History Project. Melinda Stucker is active in the Norwich Historical Society, having served on its Board for six years. 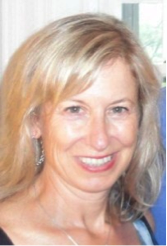 She is also a member of OSHER@ Dartmouth’s Curriculum and Study Leader Support Subcommittees, has co-taught a course for them, volunteers for the Norwich Women’s Club’s yearly “Nearly New Sale”, and has spent four years working on VT and NH Court Diversion panels. A member of the Hanover Garden Club, Melinda works in their greenhouse and has opened her gardens several times to visitors. To complete the picture, she is also a gym rat, kayaker, and grandmother of two! Despite this lengthy list of commitments Melinda attended an early meeting of our Committee, intent on making a contribution. Drawing on her expertise as a writer, former educator, and librarian, Melinda assumed responsibility for an enormous cataloging effort that Nancie Severs initiated. Over the last several months, Melinda has spent hundreds of hours reading and re-reading the collection of UVJC newsletters that Sylvia Scherr has saved for decades. 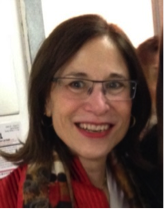 First, Melinda helped the committee define topics central to the development of the Upper Valley Jewish Community. Then she began the research required to map the contents of those many newsletters to that list of topics. Each back issue from the Scherrs’ stacks needed to be scanned and analyzed, with special attention to the Rabbi’s and President’s letters to determine whether they touched on any category of interest. Melinda has already reviewed years’ worth of back issues in this manner for us ─ and she’s still at it. In fact, if anyone has issues prior to June 1980, we would love to have the chance to scan them and add even more files to her pile! This volunteer effort to unearth significant elements of the Community’s development is enabling the Committee to establish a more accurate chronology, as well as flesh out memories that others have shared with us during their interviews. Nancie and Melinda’s work will become an important part of the final project as it continues to take shape. Barbara Brown – Those who know Barbara Brown know that she prefers to stay out of the limelight. Nevertheless, we cannot let her contributions to the history committee go unrecognized. Barbara’s determination to docu- ment Jewish life in the Upper Valley over the past eighty years provided the impetus for the Oral History Project now underway. Barbara conducted some of the project’s first inter- views to ensure that key community members’ mem- ories would not be lost to future generations. We have relied on her knowledge of local businesses to guide our research. 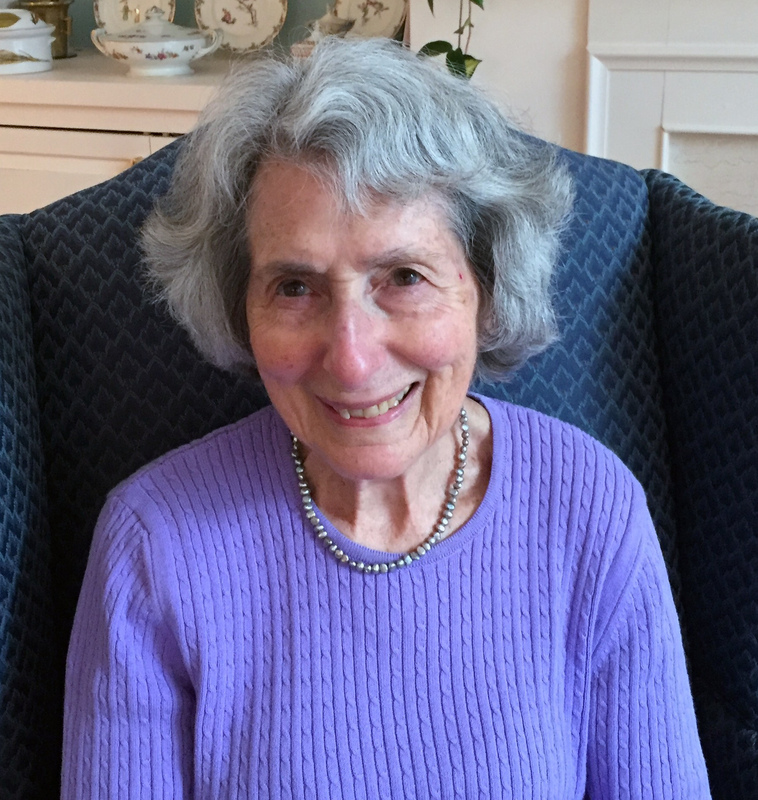 She has generously shared personal rec- ollections of many aspects of community life, including raising two daughters and celebrating the Jewish hol- idays in a string of different venues before the establishment of the Roth Center. Barbara also has given us unique insights into the early days of the religious school (which she co-founded) and the cemetery (which her husband Channing lobbied hard to create). It’s easy to see why Barbara has received multiple awards over the years for her volunteer work. She is a retired registered nurse, having worked at local hospitals and then for eighteen years at Planned Parenthood of the Upper Valley. In addition to the hours Barbara has devoted to the history project, she also has been a member of the UVJC “Soup Group”, supplying homemade chicken soup to ill community members, remains active on the Cemetery Committee, and serves as a volunteer at Alice Peck Day’s Gift Shop. Her experience and energy seem boundless. We are all thankful that Barbara is committed to being part of the history project team. We invite you to join the UVJC History Committee as we cherish our past and move into the future. 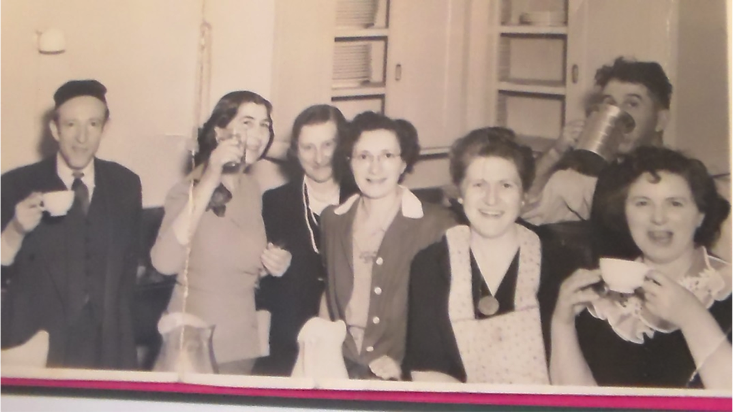 Recollections of Jewish-owned businesses established in the Upper Valley prior to 1998 – their location(s), their staff, and the goods or services they provided, as well as any anecdotes you may have about patronizing them would be greatly appreciated. Please think back to these local spots as they were in the past (it is not necessary that they still be in business). 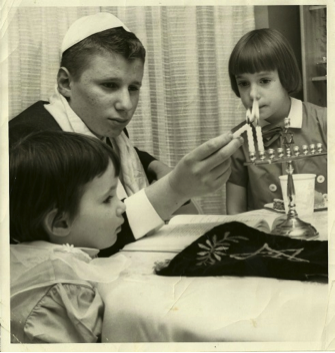 What do you remember about the Upper Valley’s Jewish commercial landscape? Let us know if something leaps to mind. Be assured that pictures and other ephemera lent to the project will be carefully scanned and returned. There is also still plenty of information gathering, cataloguing, and organizational work to be done, so please contact Ms. Draper or any member of the Committee if you are interested in volunteering!